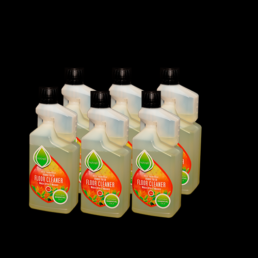 NatrellTM cleaning products containing plant essential oils have been specially formulated to provide effective and natural cleaning. The formulations contain no harmful chemicals or bleach and the effective cleansers are made by cleverly combining essential oils to optimise the release of solvents and aromas. This means NatrellTM cleaning products are easily degradable and are safe for the environment. NatrellTM cleaning products have several features that make cleaning with these products very different. Ingredients are from sustainable sources. They leave a lovely sheen on the surface. They contain a powerful blend of antibacterial essential oils that leave the surface hygienically safe and smelling fresh. Overall using these products is a great cleaning experience. Please note, we only use Essential and not fragrance Oils in our cleaning products. Essential Oils have a therapeutic value whereas fragrance oils do not. The Natrell Surface Cleaner cleans surfaces effectively, leaving a beautiful sheen as well as a residual aroma which persists for some time following cleaning. 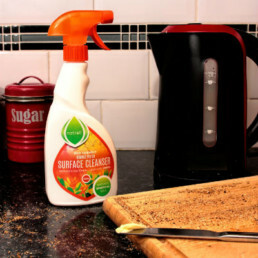 Containing a unique blend of antimicrobial plant essential oils that help cut through grease and grime leaving the surface hygienically clean. 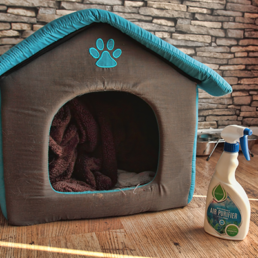 The residual aroma leaves your environment with a fresh and natural smell. 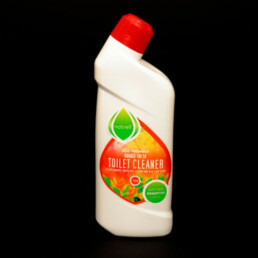 The Natrell Toilet Cleaner should be used daily to keep the toilet clean. This product uses no harsh chemicals and is environmentally safe when flushed down the drain, releasing its’ natural aroma for up to five flushes. 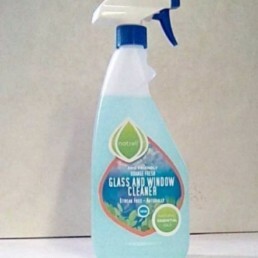 This is a great product for those little rooms that need to smell fresh and clean. Not for use on Waxed or Polished wood floors. The Natrell Air Purifier can be sprayed onto fabrics, carpets, curtains and into the air leaving an amazing aroma that helps to reduce odours caused by animals, smoking and cooking. 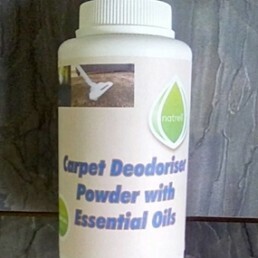 The Natrell Carpet Deodorising Powder.Just a few shakes and a quick vacuum can clean your carpet and change the ambiance of your room. In a handy 200g shaker bottle.